I think everyone knows I love typography. Ever since the Google Sites team released the availability of the hundreds of Google WebFonts I have striven to take advantage of the best fonts around. There are readable fonts, striking fonts, accent fonts and cute fonts. I've cut through to the cream of the crop and found the best fonts suited for Google Sites. So enjoy these top 6 webfonts for Google Sites and implement them on your Google Sites template designs and portfolios. This is a newcomer and is trending because of its slab-serif style, reminiscent I think of Museo, which is very popular as well but not a Webfont. This font is narrow, masculine and bold. I think it is ideal for paragraph headings. Reminds me of Bebas Neue in a way. Remember narrow isn't great for paragraph text. It's the poster child font for Google, besides their logo. Clean and crisp, it's a great all-around font that is very legible. Use it at 16px/12pt for best results. This is my go to serif font. You know how many webfonts don't render too well, especially at small sizes? Well this does great and overcomes that pitfall for many of the Google Sites fonts. It's a bit fun this font, I mean it's unique and works wonderfully as another all-around-good-font for Google Sites. Check out those interesting little tweaks that make this font great. This font renders a bit bolder and bigger and therefore is good in certain Google Sites applications where that is needed. I'm featuring it in a Google Site I'm designing right now, so yay! It's intimidating to look at that gigantic drop down menu of Google Sites fonts, but make some wise choices and pick something that looks best on any screen, any size and any browser. 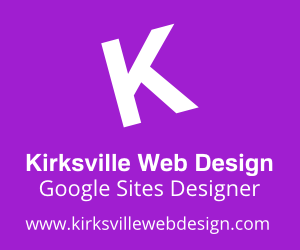 Have fun with your next Google Site! I love google web fonts, and best of all it's free! It can make a lot of difference to a website's look. I look at all of these and it's difficult to choose just one as they are all so beautiful in their own way. I really like the simple looking fonts, rather than some of the fancy ones some websites choose. They make it very difficult to read the site, IMO. Deriving all datas and information about these top 6 Google web fonts for Google Sites was a refreshing and knowledgeable matter for me. Aking Web Tech a leading IT company & Institute Provide Industrial Training on (Asp.Net with C# & MS-SQL) & all Course (BCA, BBA, B.com, BA, MBA, M.sc, PGDCA, DCA). Wow, so chic. How much did it cost you? thanks for posting this informative blog for us. i should bookmark this blog..
Goldstone Management Solutions is a web development company based in India and U.S.A provide various services like web designing,SEO services and mobile applications. Good font to design Web ! Thank for your sharing ! Congratulations Kyle Horst! Thank you so much for taking the time to share this exciting information. NICE BLOG!!! Thanks for your valuable information, It would be really helpful about ecommerce information Am working in Web designing company Bangalore. Such a great info, thank to share about google font.